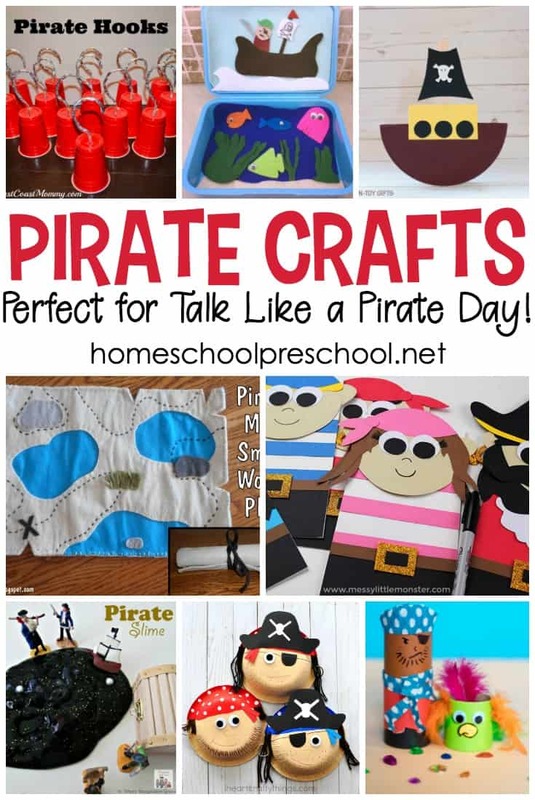 Celebrate Talk Like a Pirate Day with your preschoolers! Choose from this collection of crafts, books, and hands-on activities! 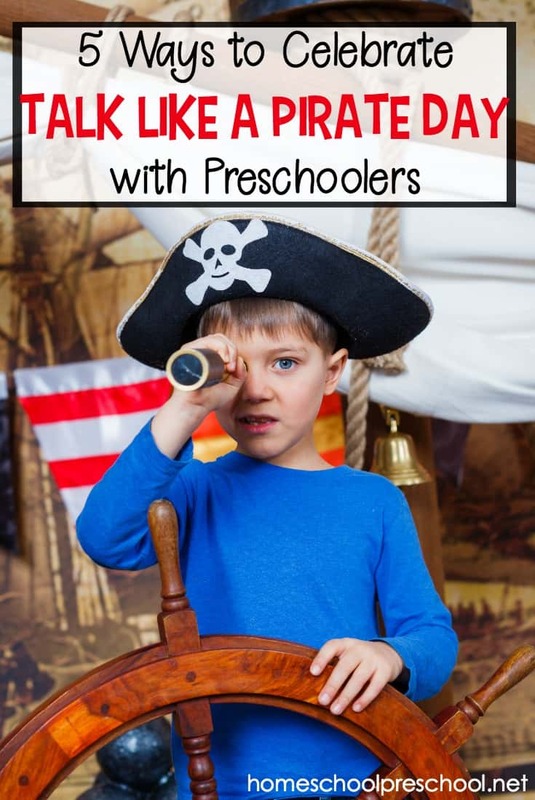 One fun holiday to celebrate with your preschoolers is Talk Like a Pirate Day. It falls on September 19 each year, and is a great day to focus on all things pirate. 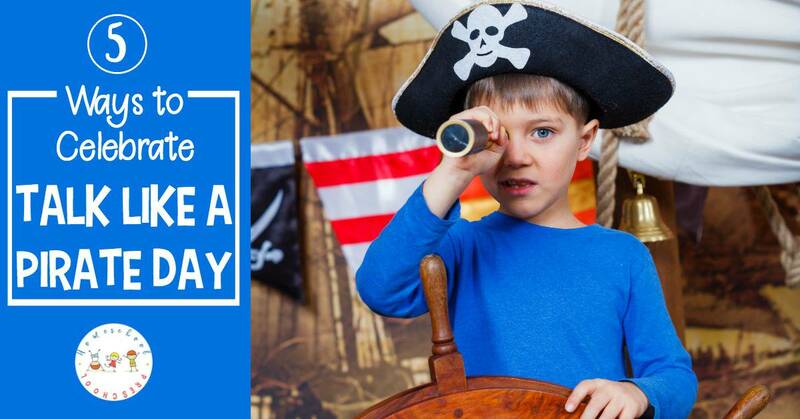 Here are five fun ways you can celebrate Talk Like a Pirate Day with your little ones. Read books about pirates. 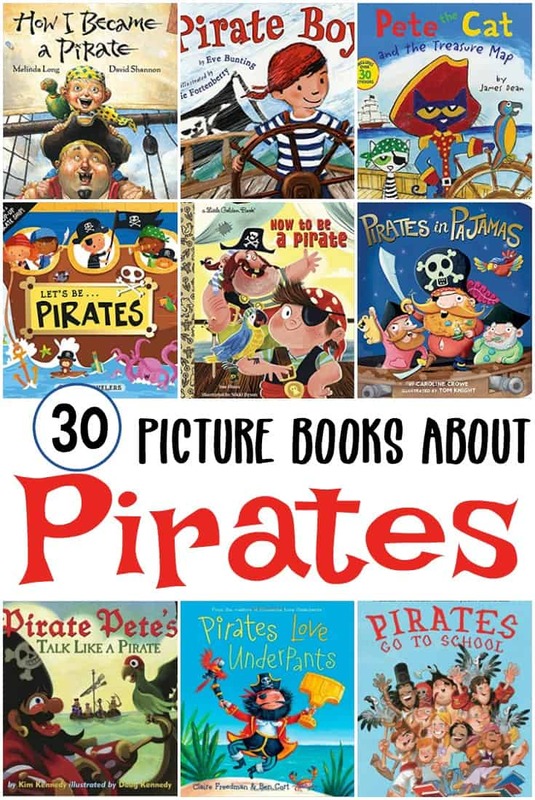 Whether you read aloud a pirate-themed chapter book, such as Pirates Before Noon, or a fun pirate-themed picture book, preschoolers will get a kick out of learning more about the life of a pirate. Send kids on a treasure hunt. You can hide some gold coins, draw a treasure map, and send your little ones on a treasure hunt in the house or backyard. 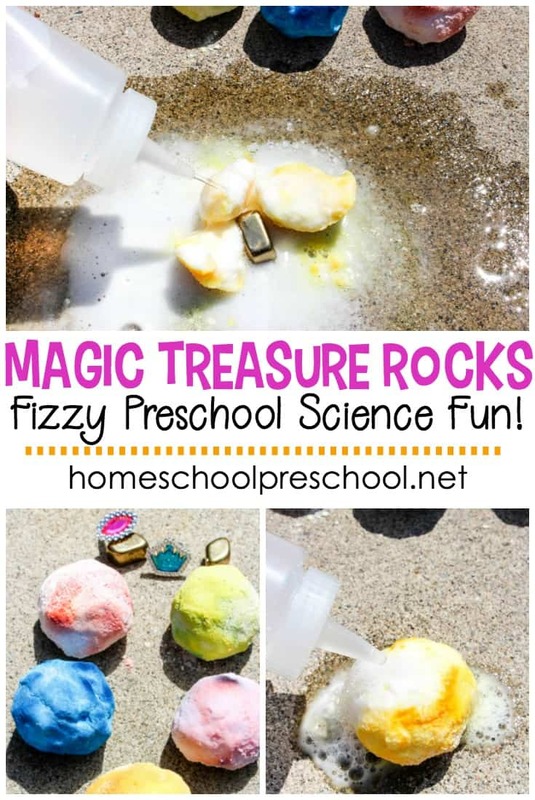 You can also help them make some magic treasure rocks. Send them on treasure hunt to find the rocks, and then let them “melt” the rocks to find the hidden treasure. No pirate-themed day is complete without dressing like a pirate. Make a simple hook or a newspaper hat for your preschooler to wear. You can find a cheap eye patch at a dollar store or costume shop. Or, you can make a whole pirate costume with every day clothes and a roll of duct tape. • pirate ship on the ocean – Slice an orange and place a small paper flag on it (with a toothpick). Serve the orange “boat” in a cup of blue jello (ocean). • Make fruit kabobs skewered with plastic pirate (cocktail) swords. How will you celebrate Talk Like a Pirate Day with your preschoolers this year?